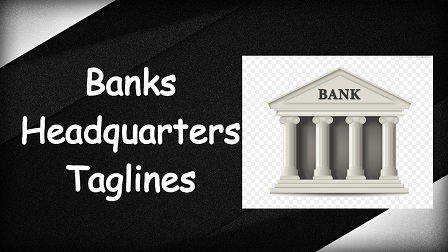 Here is a list of Important Public Sector Banks along with Headquarters and Taglines which will help you in exams like UPSC, BPSC,SSC MTS,SSC CHSL, SSC CGL,Railways and other Banking Exams like IBPS, RBI, SBI Clerk etc. 10. Bharatiya Mahila Bank New Delhi Empowering Women, Empowering India.